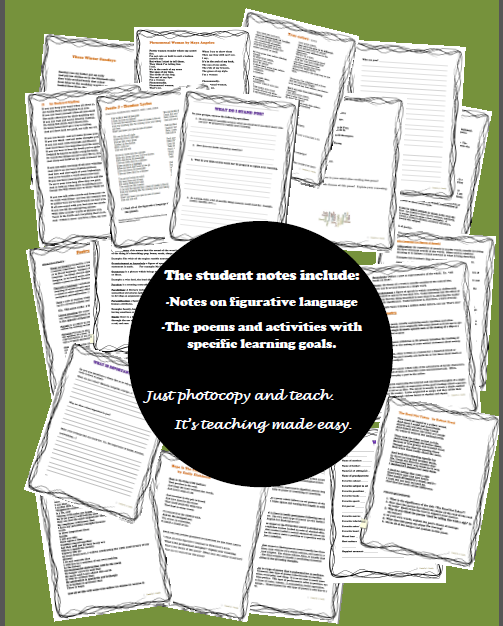 This complete NO PREP unit is a great and fun way to end the school year. This unit also have a focus on students' self-esteem for them to realize that their words have meaning and importance. This unit is appropriate at a grades 9 - 10 level (or if you have older grades with weaker students).